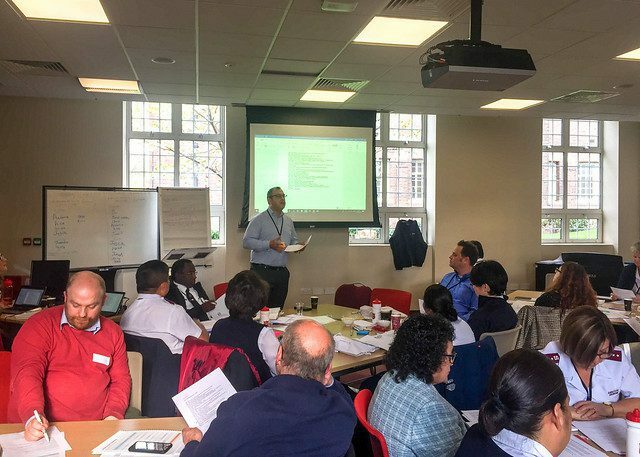 Child protection practitioners from around the world recently attended a three-day conference at The Salvation Army William Booth College in London. The event focused on “New Learning and Best Practice” and brought together Salvation Army officers and employees working in child protection to share expertise, discuss best ways of working, identify gaps and strengthen relationships with colleagues. Other sessions during the conference explored the biblical context for safeguarding—led by Nancy Turley, Territorial Abuse Advisor in the Canada and Bermuda Territory—and working strategically with children who are being exploited, facilitated by Jason Pope from The Salvation Army World Service Office at USA National Headquarters. Visa restrictions meant that not all participants were able to attend in person, but they were still able to contribute thanks to their presentations being delivered by colleagues, including a session on working with children with disabilities, developed by Ruth Ndunge from Kenya East Territory. During a keynote address, General Brian Peddle, international leader of The Salvation Army, stressed the importance of child protection. “We have a spiritual imperative to care for children—the Bible is clear about this,” he said. Reminding those gathered that his Call to Mission specifically describes a “Call to raise and nurture every generation,” he stated that child protection remains a priority under his leadership. He thanked those who have worked in this capacity for some time, predating the current efforts at an international level. Jane Dodds, Director of The Salvation Army’s International Child Protection unit, said “Excellence is the only acceptable standard” where safeguarding and child protection are concerned. Conference outcomes included an objective that every Salvation Army corps should become a “therapeutic community,” where children are at the heart of all that is done. Salvation Army leaders worldwide have been tasked with providing essential support in coordinating resources, ensuring access to further training and support, and sharing knowledge and experience to make certain that safeguarding of children and young people is prioritized with renewed resolve. Yes you can! You can get an annual subscription at http://www.newfrontierchronicle.org/subscribe/.